The country’s growing heroin and opioid epidemic is having a devastating impact on the lives of so many. 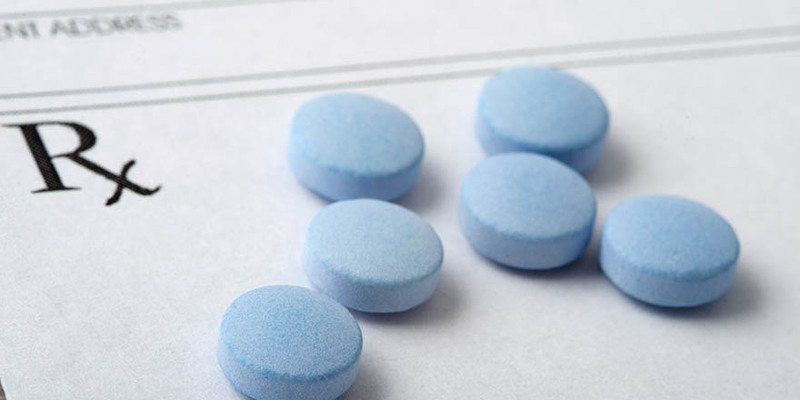 Opioids are a class of highly addictive drugs that include heroin, morphine, and prescription pain relievers such as oxycodone, hydrocodone, and fentanyl. According to the Centers for Disease Control and Prevention, over the last 15 years the rate of overdose deaths involving opioids has nearly quadrupled, with an average of 78 Americans dying every day. Ohio is one of the hardest hit states in the nation, with 2,700 overdose deaths in 2014 alone. With statistics like these, it is very likely that you or someone you know has experienced the pain of heroin or opioid addiction. Why the drastic increase in opioid-related overdose deaths? There are many contributing factors, including the ready availability of these drugs. While the amount of physical pain Americans report has remained consistent, the number of prescription opioids sold in the U.S. has quadrupled since 1999 due to overly lax prescribing physicians. Similarly, staggering amounts of pure heroin are being trafficked across the southern border, flooding the market with potent, inexpensive drugs that are readily available to people from all walks of life. Most frightening, however, is the rise of synthetic opioids such as illegally-made fentanyl; these drugs are often combined with heroin or cocaine (oftentimes without the buyer’s knowledge), making them especially deadly. Ohio’s courts enforce strict drug laws that aim to punish and deter offenders. Due in large part to the lasting influence of the “War on Drugs” culture of the 1980s and 1990s, the government’s most common reaction to this expanding crisis has been to maintain the status quo: continue aggressively enforcing strict state and federal drug laws; prosecuting offenders who sell or use drugs; and imposing harsh penalties on those who are convicted, including mandatory prison sentences. In Ohio, being convicted of a drug offense can lead to significant fines and incarceration. For example, the penalties for possessing heroin alone range from 6 months in jail to 11 years in prison. Such harsh treatment may arguably be warranted for those trafficking drugs; however, an increasing number of policy makers and law enforcement officers are questioning the wholesale imprisonment of drug users. Many offenders are addicts with underlying mental or emotional problems that will only be exacerbated by imprisonment. Moreover, without proper treatment, drug users are very likely to simply reoffend after serving their time, thus creating a bleak cycle of incarceration that can last a lifetime. Supporters of change argue that rather than continuing with these harmful punitive measures, only comprehensive drug treatment for offenders has the power to minimize the demand for illegal drugs and ultimately decrease the number of drug-related crimes and deaths. Programs for Ohio drug offenders to receive treatment rather than harsh prison sentences. As such, more and more jurisdictions around the country offer diversion programs that allow low-level, nonviolent drug offenders to avoid jail time and even have their criminal records expunged upon successful completion of some form of rehabilitation. The most common type of diversion is called a “drug court,” a special, locally-operated court that brings drug treatment more fully into the criminal justice system by treating offenders with a history of drug abuse for their addiction while also supervising their progress and intervening with social or legal services as needed. Of course, these programs require a great deal of effort from participants to remain sober and stay out of trouble; failing to do so can result in the prosecution of the original criminal offense, as well as the possibility of having to pay for the failed drug treatment. Yet despite this, the drug court model has proven to be very successful; research has demonstrated that such programs greatly reduce recidivism (reoffending) and saves thousands of taxpayer dollars per participant. There are two drug courts that serve residents in and around Cleveland: the Greater Cleveland Drug Court and the Cuyahoga County Drug Court. For local nonviolent offenders with an established substance abuse problem at the time of their arrest, these programs can offer a once-in-a-lifetime opportunity to break free from addiction and reclaim their lives. To date, more than 1,400 people in Northeast Ohio have graduated from drug court, returning to their communities as sober family members, employees, and citizens. How can I or a loved one facing a drug charge in Ohio take advantage of a diversion program? If you or someone you care about has run into trouble with the law due to an opioid or other drug addiction, there is help. Participation in drug court can help you avoid prison time and a permanent record, and offers both behavioral and pharmacological treatments for opioid addiction. If you are curious about the additional benefits of drug court and think diversion would benefit you, consulting a Cleveland defense attorney with expertise in drug crimes is your best option. A lawyer can determine if you qualify for diversion and, if so, negotiate with prosecutors to secure your place in drug court. It might just save your life.